David Jefferson has written several books, mostly with a nautical connection. It was while researching for a WWII book about the Royal Navy's 'Little Ships' that he interviewed a veteran who would discuss his wartime experiences in home waters but would not even talk to his family about his time in the Mediterranean where he was Senior Officer of a flotilla of motor torpedo boats. 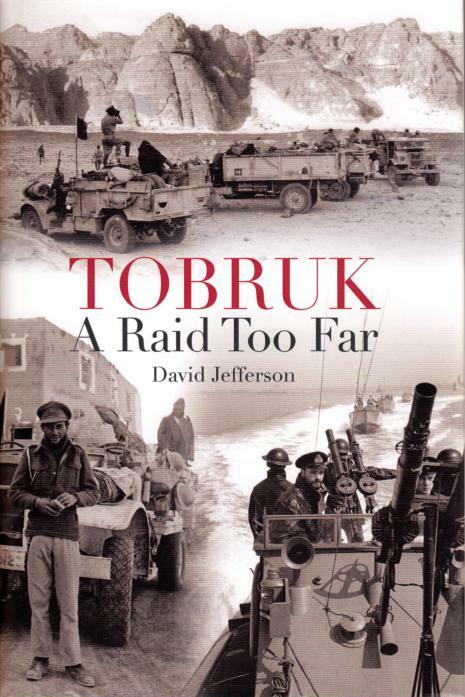 Eventually he decided that, after fifty years, the record should be put straight, and recounted to the author his dreadful experiences of the Tobruk raid. His story proved to be the spark that led to this fascinating and groundbreaking book. The disastrous raid on Tobruk, the ill-fated Operation Agreement, took place in September 1942. The purpose? To cut off Field-Marshal Rommel's supply line prior to the Battle of El Alamein, which would be crucial in determining the success or failure of the North African campaign. Operation Agreement involved the army, navy and air force together with the Long Range Desert Group and the Special Interrogation Group, who were fluent German speakers who donned Nazi uniforms to carry out risky missions behind enemy lines. For many years, little would be known about the Tobruk raid. One survivor, seconded to the Commandos for the raid, was told in no uncertain terms to keep his mouth shut when returning to his unit. Based on eyewitness accounts and previously unpublished interviews with veterans, Tobruk: A Raid Too Far explores the operation in-depth, highlighting appalling errors of judgement and their tragic consequences, as well as the astonishing trek of survivors across the desert to reach their front lines.